We are delighted to have received an email from the FSB informing us that we have been nominated for the FSB Celebrating Small Business Awards. Not only that but we’ve made the finals! 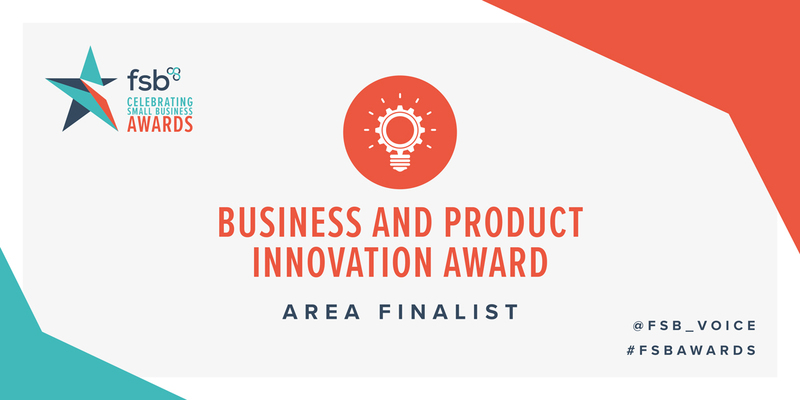 We are a finalist in the ‘Business & Product Innovation Award’ category and are absolutely thrilled! 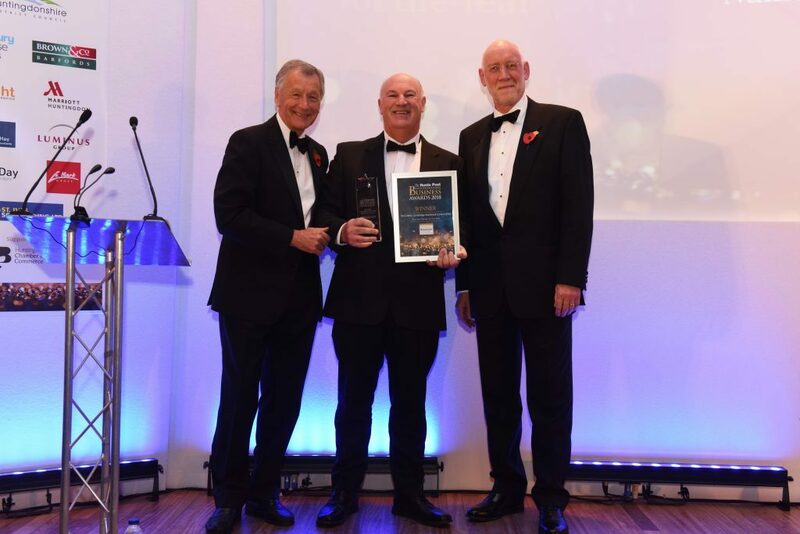 Could this be another award win for CNC? We’ll have to wait and find out! The awards luncheon is on the 5th April and we’ll let you know how we get on. 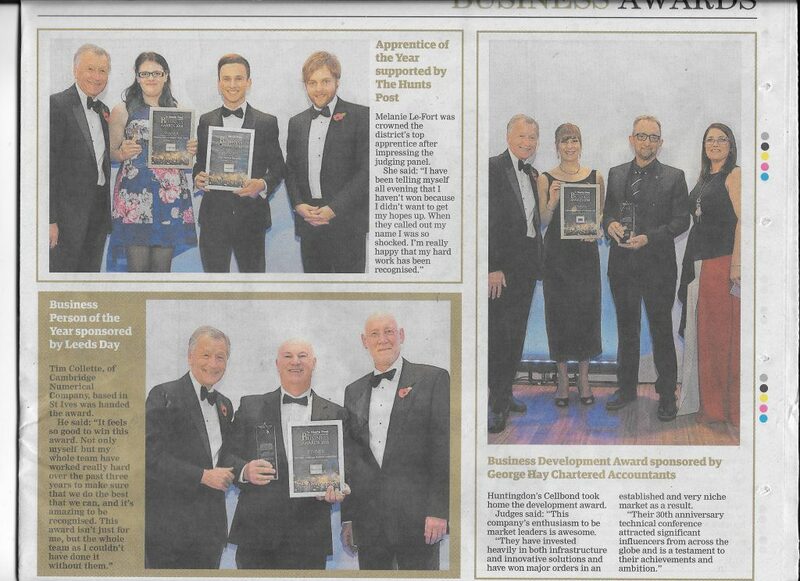 Good luck to all the other finalists and see you on the 5th April! 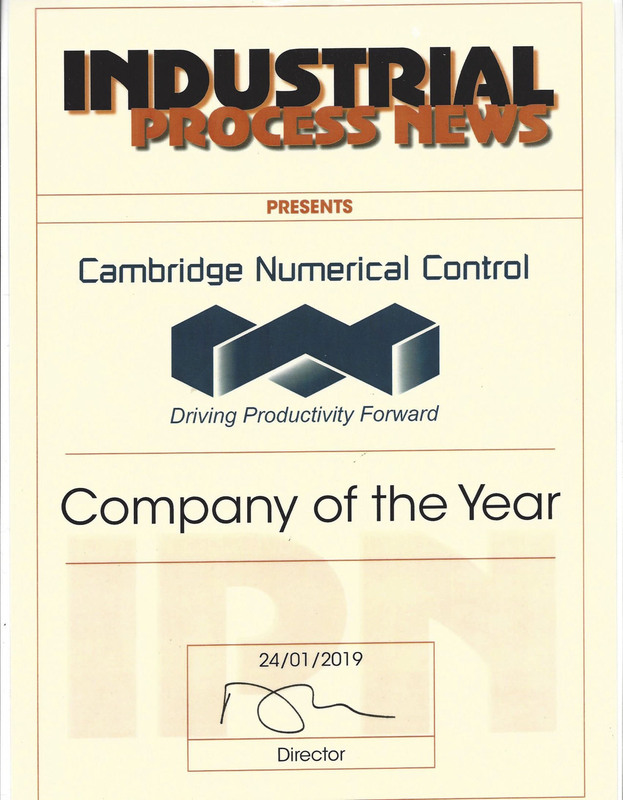 Thank you Industrial Process News for presenting us with Company of the Year. We are absolutely delighted! Our certificate has taken pride of place in our office! We are thrilled to have been chosen as CNC Software Company of the Month in Industrial Process News which is out in print now! 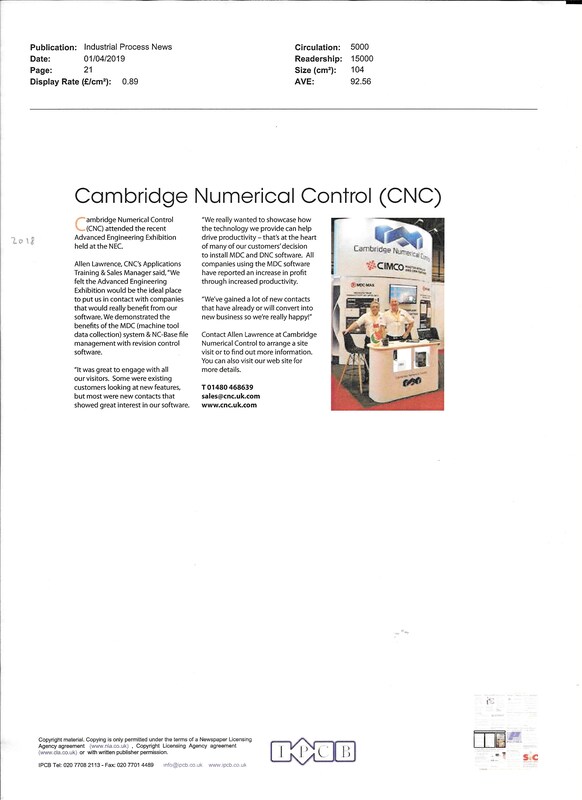 We think this piece gives a really nice overview of CNC and the work we do. 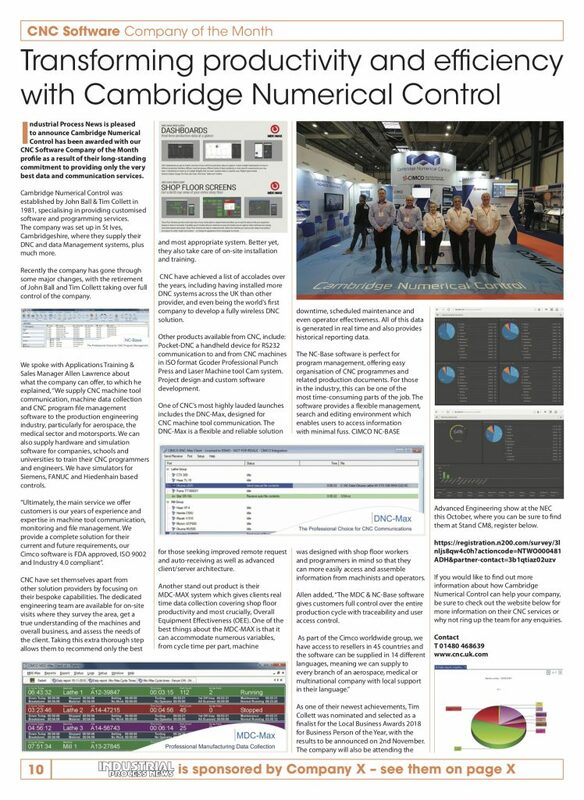 Love the bit about CNC being ‘industry leading’. Made our day and thanks to all involved. 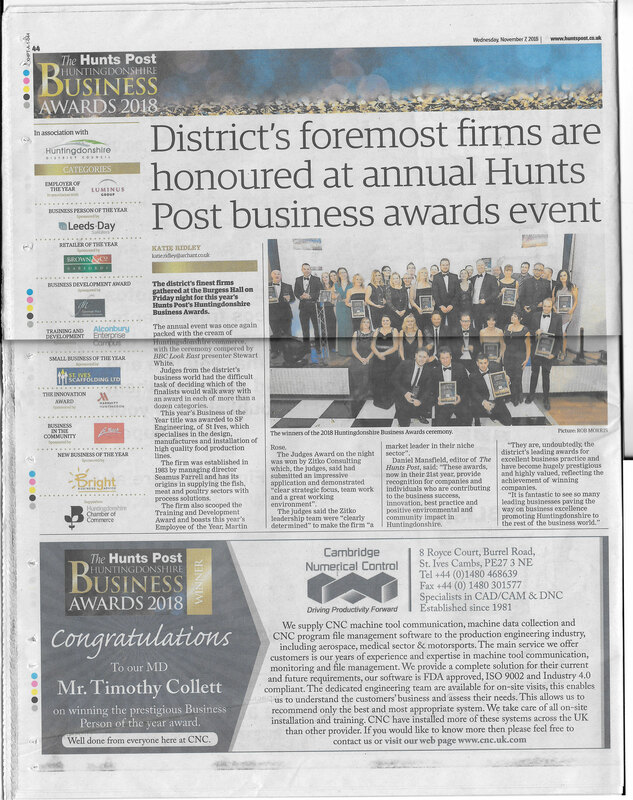 We are thrilled to announce that our Managing Director, Tim Collett, has been nominated and made it through to the finals of the Hunts Post Huntingdonshire Business Awards in the category of ‘Businessman of the Year’. Over the next couple of weeks independent judges will be making contact with Tim to arrange to interview him and visit CNC HQ! 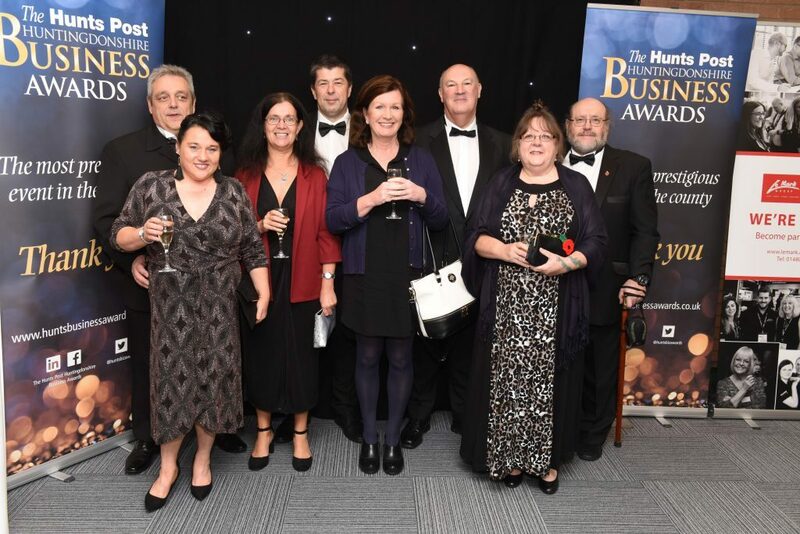 Then we are off to the gala awards ceremony which will be held on the 2nd November at the wonderful Burgess Hall to join 300 other business people. 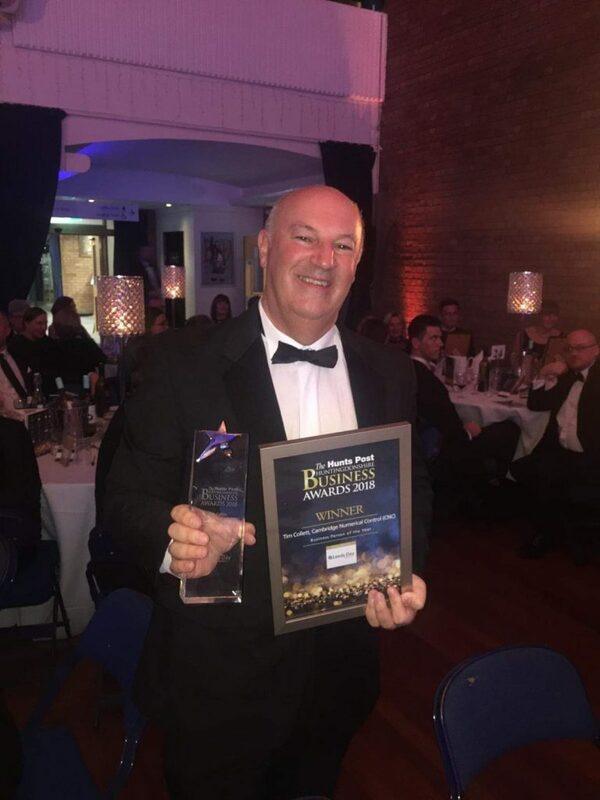 Huge congratulations Tim and fingers and toes crossed for the win! We are delighted to be exhibiting at Advanced Engineering 2018 at the National Exhibition Centre, Birmingham on the 31st October – 1st November which brings together the UK’s advanced engineering sectors. Come and visit us on stand CM8. What is Industry 4.0 Smart Factory? Engineering companies seem to be faced with a vast array of sometimes confusing ideas of what the Smart Factory is and how to achieve it. 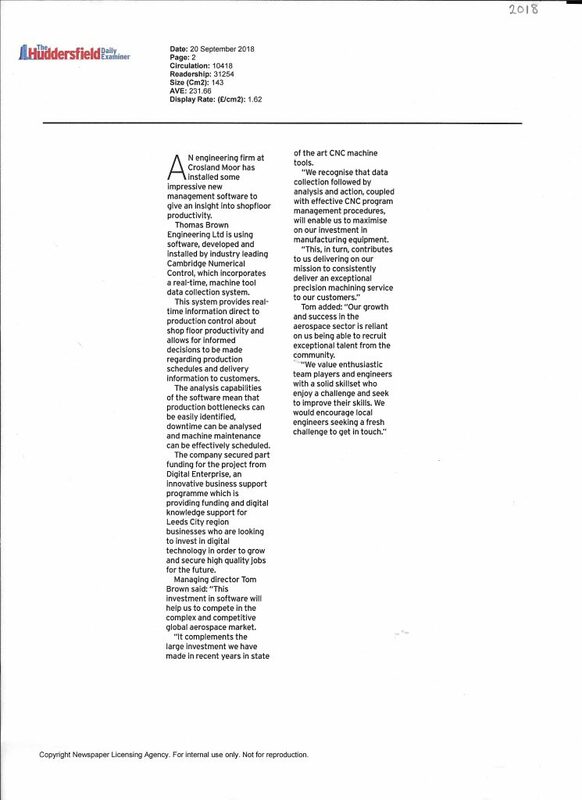 First things first, it is a big subject and can mean different things to different sectors of the industry. Put simply Industry 4.0 is about digitising your manufacturing, making the best use of modern technology in a manufacturing environment be it by monitoring, robotics, use of sensing technology – even staff training. It’s about having the right tools and process in place to make use of all this tech. It’s about being in control, empowering your workforce to be able to connect the right data with the right people in order to make informed decisions and all in real time. In reality it’s really much more of an evolution than a revolution in the way we think and how we work, how we gather and make use of that collected data. You may find that the technology is already in place with the information we need all around us and some of it being collected, monitored and collated over several platforms – a combination of digital and manual process. The problem with this is that it can very quickly become unmanageable and is usually retrospective i.e. data is collected then becomes unused or out of date. 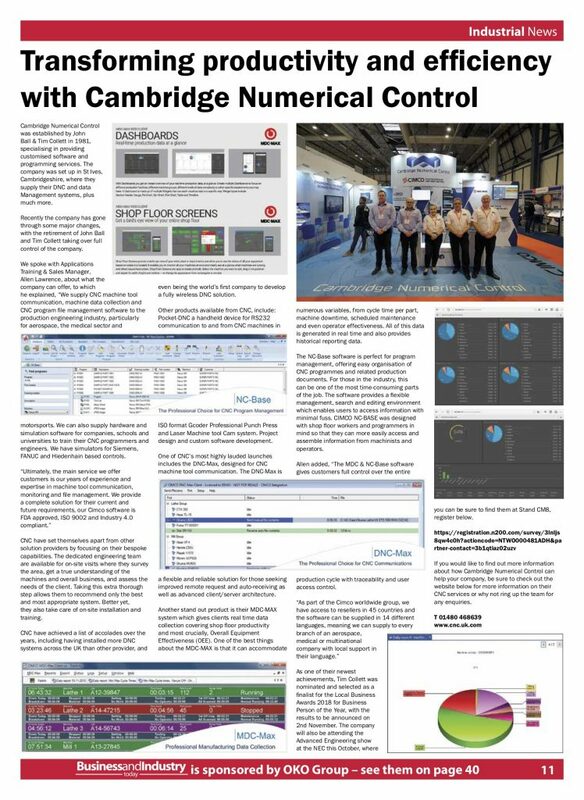 What if you could have a system that gathers the manufacturing data you require in real time so that you can be proactive in decisions, become leaner in manufacturing and give you the edge over your competitors? How many parts have you made? The path to a Smart Factory and the advantages it provides is far less difficult and much more affordable than you think! How do you start your journey to achieve all of this? Well that’s where we come in. 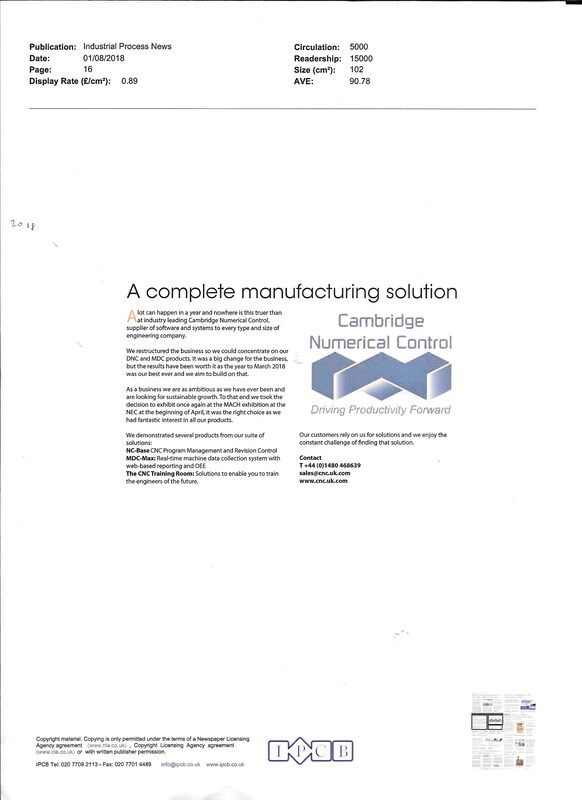 At Cambridge Numerical Control we’ve been specialising in digital solutions for engineering companies for over 30 years. We are the leading UK supplier of DNC, Machine Tool Monitoring and File Management Systems from the world-leading Cimco range of products. Let us assist you in your journey towards a smarter way of working, a smarter way of thinking, a truly Smart Factory.